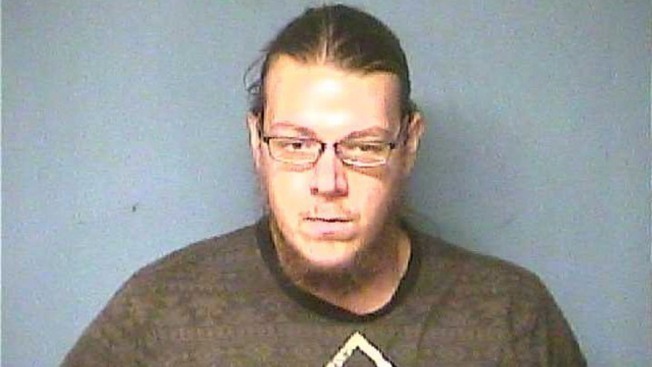 This photo provided by the Lonoke County Sheriff's Office shows Jacob Scott Goodwin of Ward, Arkansas. Goodwin, 22, was arrested Tuesday, Oct. 10, 2017, by U.S. marshals near his hometown. He was the third person arrested in the beating of a black man at a white nationalist rally in Charlottesville, Va. He was found guilty of malicious wounding on Tuesday, May 1, 2018. A white Arkansas man charged in the beating of a black man during a violent white nationalist rally in Charlottesville, Virginia, has been found guilty of malicious wounding. 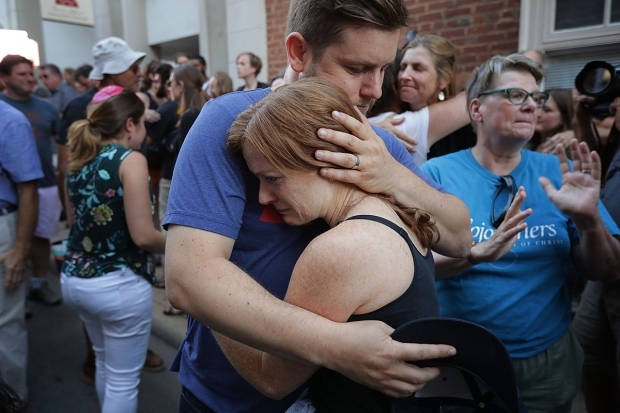 News outlets report 23-year-old Jacob Scott Goodwin was found guilty Tuesday for the August attack on 20-year-old DeAndre Harris. The jury recommended a sentence of 10 years, with the option of suspending some time and a $20,000 fine. Harris suffered a spinal injury, a broken arm and head lacerations that required eight staples after the parking garage assault. Three others were arrested. Goodwin claimed self-defense. However, Assistant Commonwealth's Attorney Nina-Alice Antony said it was Goodwin who wanted to square off. She argued that Goodwin was dressed for "battle" with a military tactical helmet, goggles and shield during the attack, The Washington Post reported. While he wore also pins associated with a code for "Heil Hitler" and the white-nationalist group Traditionalist Worker Party, Goodwin was not questioned during the trial about his possible affiliation with such groups, the paper reported. Still, the issue came up during closing arguments when Goodwin's lawyer said, “They want you to convict this man because he’s white, and DeAndre is a black man.” That drew an objection from Antony, who said she had avoiding making the case about race, the Post reported. The rally was held to protest the removal of a statue of Confederate Gen. Robert E. Lee from a city park.